lmao 10/10 this is like M21 but more creative. In the army of SMB3 Goombas, a prankster SMB3 recolored Galoomba tried to fit in. Now as a concerned citizen of Bowser's Kingdom, you must identify the prankster. Goomba can go to a player's room to inspect a player at night to know his color. Galoomba can hide at night 3 times. It has also 2 cloaks so he'll end up blue when inspected. If a Goomba's target is inspecting someone, the Goomba will receive a message which says "There are no results of your current inspection." at the end of the night phase. If a Goomba's target is hidden, the Goomba will receive a message which says "There are no results of your current inspection." at the end of the night phase. If two or more Goombas inspect the same target, they'll crash each other at the doorway of the target's room which leads to their death. Be the last man standing or equal the town. The town would have an effective win because all townies can inspect. There's, like, 4 things that can mess with the inspections. If a Goomba's target is inspecting someone(3), the Goomba will receive a message which says "There are no results of your current inspection." at the end of the night phase. If two or more Goombas inspect the same target(4), they'll crash each other at the doorway of the target's room which leads to their death. yaaaaaaawn Huh? Oh. Hi. 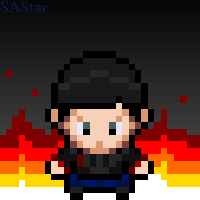 I'm SAStar. ...I don't do stuff here much. Want to play Mafia but can't here because it closed? Minigame Plaza just so happens to have Mafia games played the same way as they were played here. We also have Roll the Dice, DnD, and more. We welcome all players regardless of experience in the games (or lack thereof). If you're interested, click here to join. Chad Intellect - inspects people to acquire knowledge of their color. nice! Lowrider - a little higher. runs over people to kill them for some reason. Instead of having them die if 2 or more goomba’s inspect the same target, make it so the 2 or more goombas who inspected the same target get roleblocked. 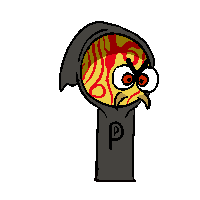 You can as well make the galoomba gets to make a goomba to their side every night, but only the OG galoomba has the ability to hide and cloak themselves. Also, if a galoomba and a goomba visit the same target, they still both get roleblocked. 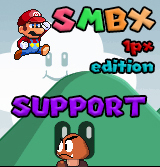 Wrong, since the galoomba can get a goomba to join their side in the new concept. Everyone is at a disadvantage with double vision. I may swap the vig for something else, or I may swap lowrider for a jester type role, although I'd have to modify it for the gimmick. Blackmailer can silence a player at night to prevent him from speaking on the next day phase. Doublespeaker may fake his vote in the thread. His real vote will be sent to the host. Flying voter can vote and his vote counts as two. Sheriff can inspect a player at night to know his color. Doctor can protect a person at night. Can't self-protect. Executioner may host a double lynch once throughout the game. Doublevoter doesn't know that he's a doublevoter. His vote counts as two. Mime can vote but his vote doesn't count. Doesn't know that he's a mime. Millwright doesn't know that he's a millwright. Jester wins along with the winning team when lynched. Nerfed the town a little bit. Maid will learn the color of the player who visits her. Takes effect on the first two visitors. Cleric betrayed the town when he was offered by the mafia to learn black magic. Protects the player who visits him from non-mafia actions. Takes effect on the first visitor. Thug will paint the player who visits him as black and if that player is lynched or killed at the same phase or the next phase, the player will cardflip as black. Takes effect on the first two visitors. New recruit carries all the killing commands by the mafia. Psychic will learn the color of the player who visits him. Takes effect on the first two visitors. Warlock can go on alert thrice during the night, killing anyone who visits him. Takes effect on the first two visitors. Priestess will protect from any activities acted upon the person who visits her. Takes effect on the first visitor. Dies immediately from shock once the Cleric, her long-lost father, visits her no matter when does the cleric visits her. Can self-protect once. Enchantress will double the vote count of the player who visits her. Takes effect on the first three visitors. Witch will double the vote count of the player who visits her. Takes effect on the first visitor. Thinks that she's the enchantress. Sorcerer is the only magician who can visit at night and kill who he visits. Because of not being passive, he's seen as a suspicious person. However, he will turn into blue if he kills a red or a violet as a sense of gratitude. Hex Maniac nullifies the vote of the player who visits her. Thinks that she's the enchantress. Takes effect on all of his visitors. Necromancer immediately gets the role and the color of an expert magician once a expert magician dies. Voodoo Lady can curse a word at every start of the phase and the first person to say that word will die. The word must be greater than five letters and must not be name of a player or any member associated in the game. This game features a mechanic that the only way to use your ability is to have someone visit you at night. The only person who shouldn't follow this rule is the Sorcerer and the killing mafioso as they need to visit someone to use their abilities. The order of visits is based on what time does the player tell the host who will he or she visits. For example, Player 1 told the host at 9:00 PM that he will visit the Priestess and Player 2 told the host at 10:00 PM that he will visit the Priestess. The only person who will be protected is the Player 1 since he is the first one to submit his action. The mafiosos can't visit their fellow mafiosos. If the New recruit was killed, the next lowest-ranking mafioso will carry the killing commands. If the mafiosos visited a expert magician, their color will be revealed publicly after the end of the phase unless the Cleric visits the Priestess. The Priestess dies if she was visited by the Cleric. The Priestess dies if she visits the Cleric. If the Necromancer becomes the Priestess, she will still die if she visits or was visited by the Cleric. The player isn't notified if his or her vote is nullified or doubled. Last edited by Radiance on Wed Aug 22, 2018 2:46 pm, edited 2 times in total. M?? : None of your business, Townies! The town of Salem, Italy was safe from the mafia. But only because the Mafia had a fight. After the fight, they split up into 2 gangs: the Bloods and the Crips. The Sheriff guided the Townies away from the intense battle so they didn't get hurt. Blood Godfather can choose who to kill anyone once each phase. If they kill a Blood member, they have to turn to the Crips as a Red Crip. Blood Consig can inspect anyone once each phase. Blood Medic can heal another person once each phase. If they heal a Crip, they have to turn to the Crips as a Red Crip. Normal Blood can say yes or no to a Blood Godfather. It only takes 1 no for the Godfather to cancel the killing. Blood Second-in-Command is a normal Blood when the Godfather is alive, but if the Godfather is dead, they take the spot as Godfather. If both he and the GF are dead, the Crips steal the win. Orange Blood is the aftermath of a Crip healing a Blood or a Crip killing a Crip. Crip Godfather can choose who to kill anyone once each phase. If they kill a Crip, they have to turn to the Blood Members as an Orange Blood. Crip Consig can inspect anyone once each phase. Crip Medic can heal another person once each phase. If they heal a Blood member, they have to turn to the Blood Members as an Orange Blood. Normal Crip can say yes or no to a Crip Godfather. It only takes 1 no for the Godfather to cancel the killing. Crip Second-in-Command is a normal Crip when the Godfather is alive, but if the Godfather is dead, they take the spot as Godfather. If both he and the GF are dead, the Bloods steal the win. Red Crip is the aftermath of a Blood healing a Crip or a Blood killing a Blood. A faction game with only 2 factions? Yeah, this will never work. If one side loses both their Godfather and their Second-in-Command, that side will be at a serious disadvantage and will most likely lose by default, especially if everyone on the other side finds out all of their teammates. Then there's the fact that one side can easily lose their Medic super easily. Why should the Medic change sides if they protect an enemy? Doctors can prove to be important roles for survival, and losing them all because they protected an opponent can be pretty brutal. I know, the protected an enemy, but what if a side absolutely NEEDS them? Another issue is that both sides essentially have the exact same roles. There should be more variety. Also, why does each side's Godfather need approval from their Normal to kill someone? You basically made the normals Consorts/Escorts, but limited the number of possible targets to one. The Godfathers should have full control over who they should kill and only have their kill fail if their target is protected or if someone chose to roleblock them out of any player they could choose. Yet another thing is the fact that a Godfather has to change sides if they kill one of their own. I get it, they betrayed them, but if you want to punish them for killing the wrong one, taking away their power for the next night or making them flip red/orange for the next day and night is good enough. Speaking of changing sides, considering this game, having that happen should probably not be a thing in this game, as conversions remove a member from one side and add them to another, which can skew the game into one side's favor if one side loses members to conversion but not the other. What's more, why does one side steal the win at the end if the other's Godfather and Second-in-Command die? If the side that loses them ends up winning at the end, wouldn't they logically be the big winners as all their enemies are dead? And who steals the win if both sides lose their Godfathers and Second-in-Commands? In fact, why have this as a thing if one side's most likely gonna lose of they lose their killing power? Basically, this game has so many problems that I just do not see this working out at all. You need to work on it a lot more. Me earlier this post wrote: Yeah, this will never work. Baldi is the Big Bad of Here School. He can choose one student to kill each phase, but he cannot kill a student with the right answer to a phasely question. If all students get the question right, he can kill anyone. Principal of the Thing is the principal of Here School. He can roleblock a student caught using an item for 1 phase, but if he tries to catch a student who didnt use an item, he gets roleblocked. Playtime can roleblock 1 student each phase. However, if said student uses Safety Scissors, she will get roleblocked. It's a Bully can take away an item from a student each phase. Arts and Crafters flips green phases 1-6 and flips red phase 7. On phase 7, he can kill 1 person. Students cannot do anything except answer the phasely question or use items. Merchant can sell an item for a Quarter each phase. Former Bully is a regular student except he flips red. Safety Scissors are used to roleblock Playtime. BSoda can be used to roleblock Baldi. Quarters can be exchanged for items from the Merchant and acquired by answering the phasely question right. When a student is roleblocked, it means they cannot answer the phasley question or buy items. Why do the bad guys win as soon as the game starts?